Swingy Feet 1 – Super Sede Sox are online!!!!! Swingy Feet 1 – Super Sede Sox are online!!!!!!! The Swingy Feet Workshop 1 is 34 pages long, with 52 step by step photos. This 1st introductory workshop will teach you that part of Swing-Knitting™ technique you need for the socks. You’ll learn about stanzas and pauses in Swing-Knitting™, and by Swinging a square piece for a sock leg you’ll knit and learn in one – all the technique you need for lots of coming socks! 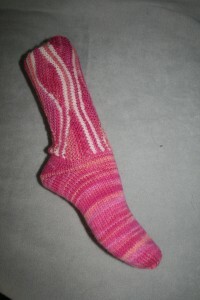 We complete the sock, you can chose between the German short row heel and the V-heel. 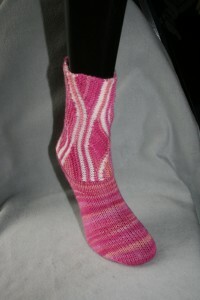 The 2nd introductory workshop will show you how to do the special construction of Swingy Feet Socks. With this knowledge you can knit all socks from my German book Swing-Socken even if you don’t understand German. And I’ll give you your own designs – completely new sock models will make music with your knitting needles! We are already heavily working on this 2nd workshop, coming soon! 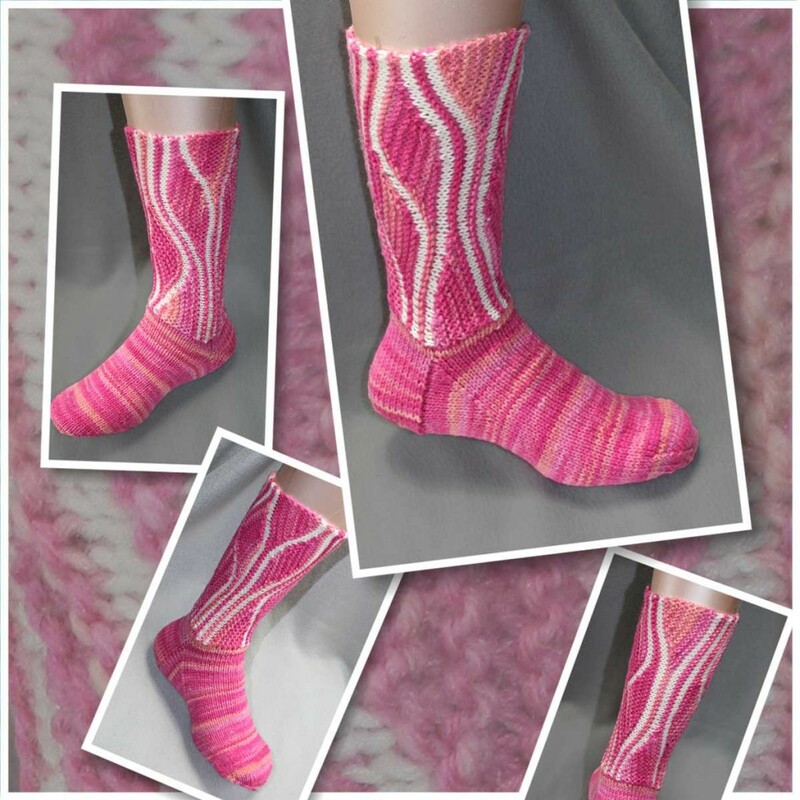 The translation and publishing of my Swing-Socken book in English will laaaaaaaaast … I therefore decided to give you English-speaking sockaholics completely new models and your own workshops on Ravelry. Special thanks to Nada who turbo-translated the complete workshop! Hottest news about Swingy Feet Sox !!!!!! Here it is, the hottest news! You will get your own Swingy Feet Sox!!!!!! I have decided to give you your own socks, in English!! With this sock, you’ll learn that part of Swing-Knitting™, that is involved in the Swingy Feet – in order to knit all the further sock models, you’ll have to do this one first! You don’t have to know anything about Swing-Knitting™ when you start this sock, all that is needed will be included in the two Workshop socks, SSS is the first one! Nada is already working on the translation, while I am still working on the knitting part. We are very confident that the SSS workshop will go online by the end of this week. Swing Sox – good news! I can tell you now that I am in concrete negotiations with my publisher! On Friday, I’ll know more, and I’ll tell you. How long it will take to print the book, I don’t know yet, but I promise to do my best! Do you know our Ravelry group? There you’ll find the hottest news on Swing Socks in English! And please look at the German thread “Swing Socken” to adore the pictures of the beautiful socks our group members already made! Now it’s Friday evening in Germany, and NO call from my publisher …. Christophorus Verlag didn’t give me a call with concrete information as they have promised – so I’m sorry that I can’t tell you more now! I already have an offer of an international print on demand publisher that looks quite good but puts forward a lot of open questions for me – as for the time it will last until publication. Here in Germany we have “Karneval” that is Mardi Gras, so I think I can’t tell you anything new before coming Tuesday earliest. I’m very angry with my publisher for not keeping their promise!